House fire at 2216 Harbour Place owned by James and Barbara Swisshelm on June 9, 2015. 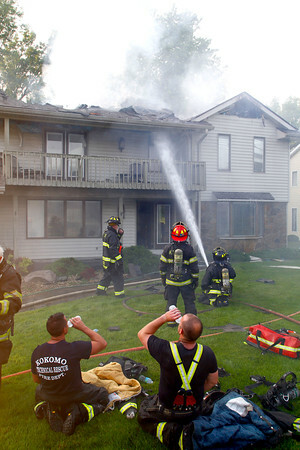 The fire broke through the roof when a neighbor noticed it and called the fire department. The fire damage was mostly in the attack but the rest of the house sustained heavy smoke and water damage.